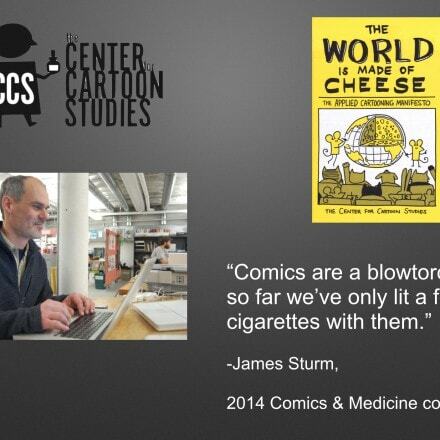 As preparation ramps up for the 2015 Comics & Medicine Conference in Riverside, California, here is James Sturm‘s keynote address, “Applied Cartooning: Cartoonist Veterans Sessions.” The address is broken into three segments below. 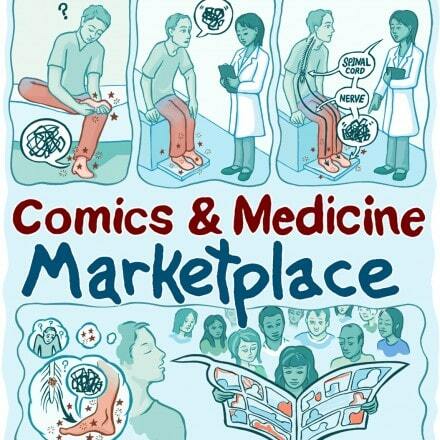 It was delivered at the 2014 Comics & Medicine conference on the campus of Johns Hopkins Medical Center in Baltimore, Maryland. 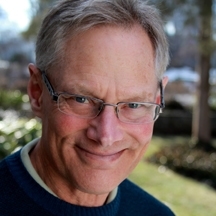 James is the co-founder of the Center for Cartoon Studies in White River Junction, Vermont. 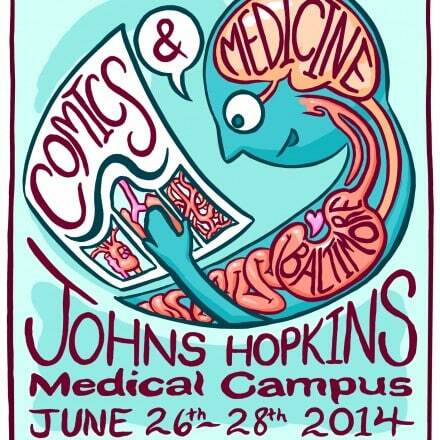 The Comics & Medicine Conference is just around the corner now: June 26th-28th. Registered conference attendees can participate in the Juried Exhibit & Marketplace as well as the opening night reception (Thurs. 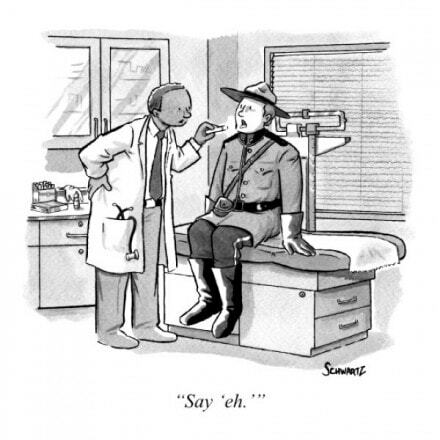 June 26th) and two full days of programming. 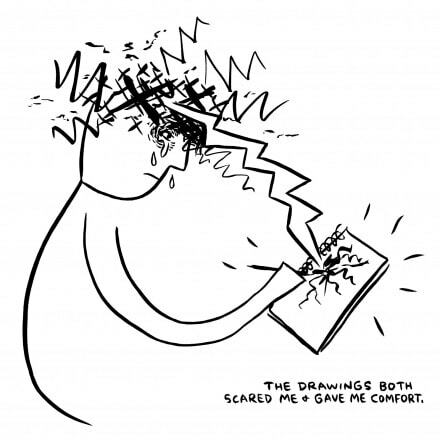 This gutsy little guy comes free on cotton bags for attendees. 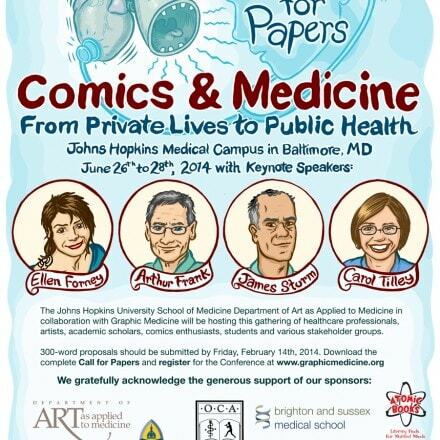 Hope to see you there!